We here in the southern hemisphere have just come through almost six months of warmth and busyness. Our bodies feel tired and we are getting that small feeling of retreat, that animal instinct within us that is preparing for the cooler months. However this is a time to replenish ready for the months ahead and this is where I love the power of tea. 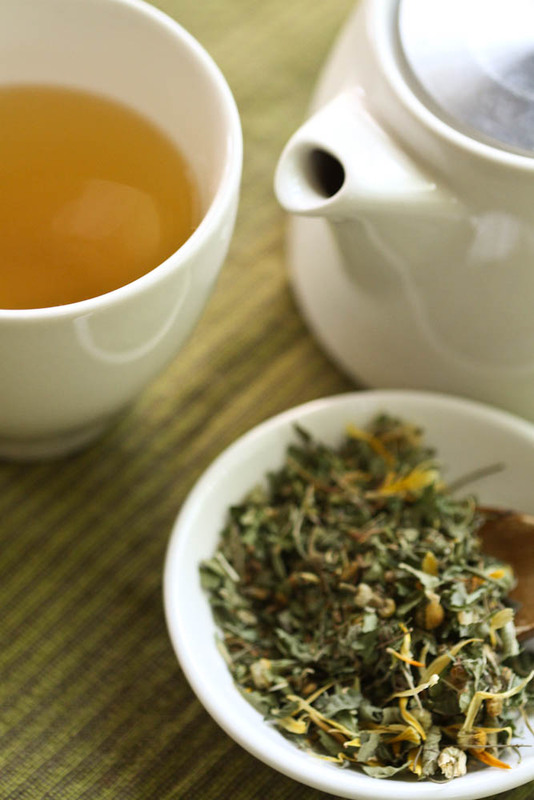 Gentle herbal teas sipped throughout the day and into the evening give small, gentle doses of the plants we need. Licorice Tea - A wonderful herb for adrenal exhaustion and fatigue. Rich in iron and other essential minerals, licorice strengthens and nourishes the body after a busy summer. It also has respiratory strengthening properties ready for the cooler months ahead. Echinacea Tea - Such a beautiful herb for boosting our immune systems to head into a time where coughs and colds are hanging around. It is also cleansing to the blood and brings a gentle elimination of toxins within the system. Nettle Tea - Nettle is rich in vitamins and minerals replenishing the body and its organs after Christmas and the seasons of parties. 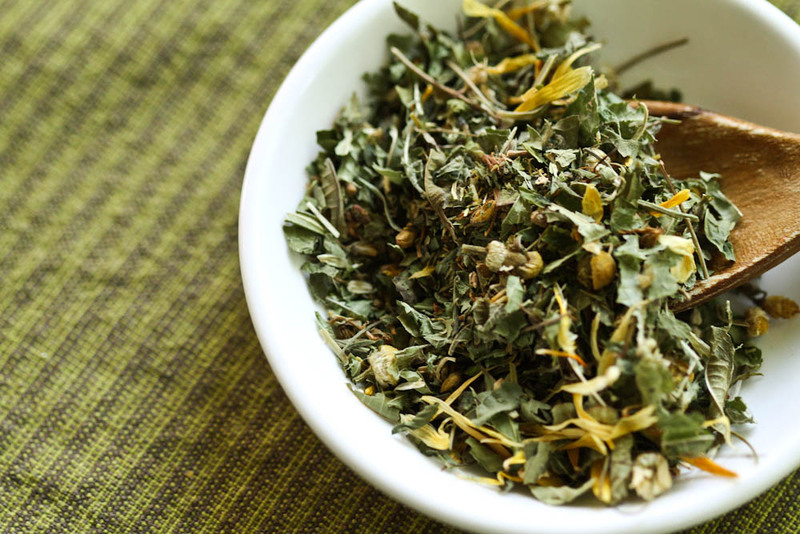 Dandelion Root Tea - Will gently awaken the liver for Spring. Cleansing away excess from winter and the time when our bodies needed more comfort. Dandelion Leaf Tea - is a productive but gentle diuretic to increase the eliminating of unwanted fluids within the system. Fennel Tea - Flushes the digestive system and stodge, bringing light and flow within. Not only does tea strengthen within I believe in the power tea holds in bringing people together. It promotes slowness and gives us reason to exhale. It can bring friends together, it can help when one feels rattled, emotional or exhausted. 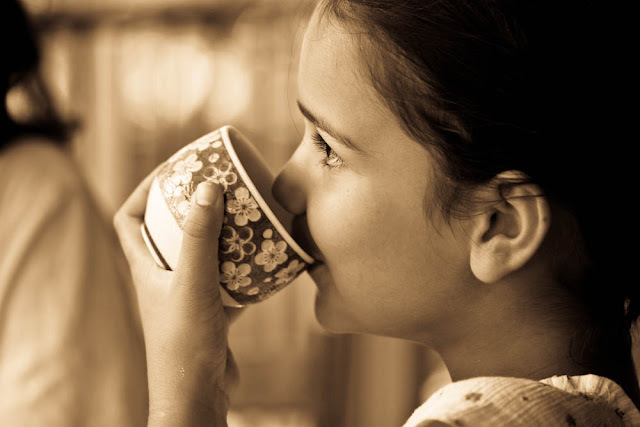 Having a cup of tea in the afternoon as a family regroups and reconnects you. A gathering of what has happened and what we are all feeling. 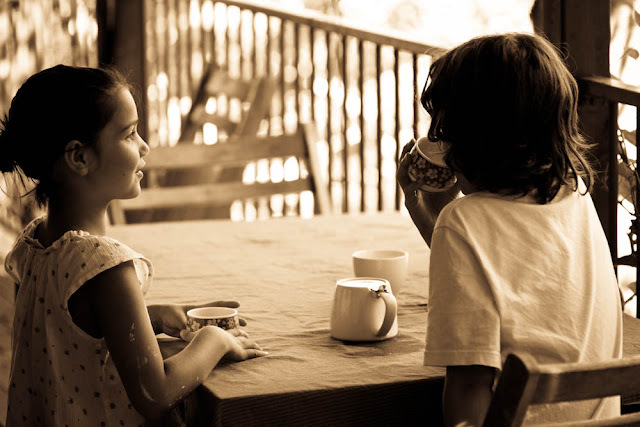 My babies chatted and laughed while sharing a pot of tea yesterday, so happily sipping and sharing their tales and it inspired me to share what I feel about this sweet tradition. Sitting down and having a cup of tea is such a simple and pleasurable thing to do, don't you think? I make sure I make time to sit my sweet ones down for a cup of tea regularly. Sometimes the whole family together around the pot at the table or sometimes if one of my children are feeling fragile, sick or needing a chat when done over a cup of tea can be the loveliest way to do it. Guards down. I recently heard of some girls getting a little nasty with each other at a school the teacher thought of what was needed and she then decided that once a week in school lunch breaks she would bring all of the girls together and share a pot of tea, this caused the girls to talk, open up and be slow together. How enriching and lovely, it could only bring positive. 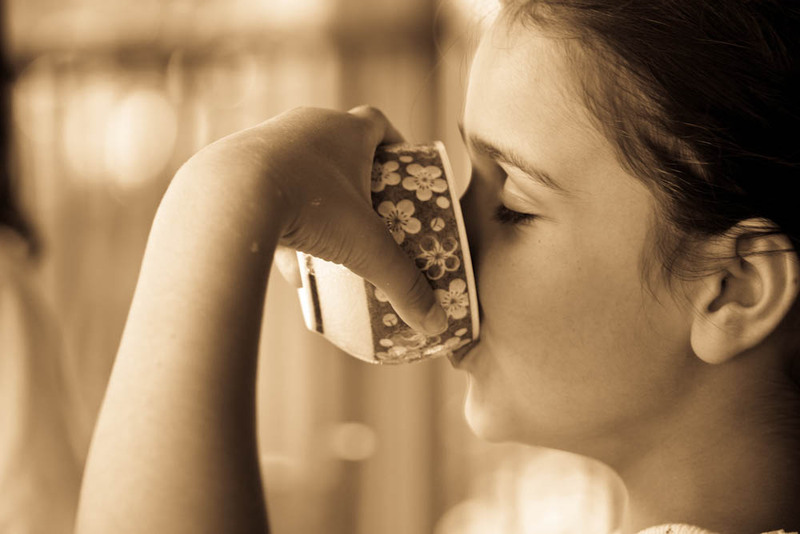 Sitting down to a cup of tea brings this sense of nurture, slowness and brings about conversation. These sweet traditions seem to be slipping from us and I want our children to know this powerful and wonderful way to spend time and socialise with the ones we love. Herbal teas are rich in vitamins and minerals and therefore load our small ones and our own bodies with doses of nourishment throughout the day. What are you sipping at the moment? Totally agree. And, licorice is my all time fave. I could drink it all day every day. Licorice tea is a favourite here but I am quite taken with peppermint at the moment. Oh, just reading that made me feel like putting the kettle on! Liquorice tea is marvellous for sore throats, and rooibos is my favourite everyday tea. I grew rosellas in my garden (the bush not the bird!) and dried them and that with a bit of ginger is superb - a real pick me up. I saved the seeds and planted them in every spare corner this year! This is a great post, so informative. I am a huge fan of tea (I am a Brit!) and during the day like strong tea with a drop of milk (we call it "builder's tea here) but I love herbal tea in the evenings. Chamomile is a favourite, and ginger and sometimes licquorice too. But the best bit is the ritual of making it.